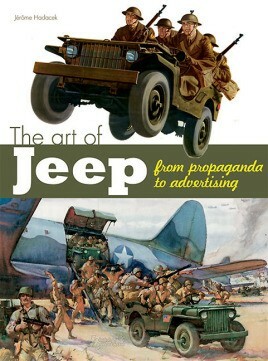 The Jeep, despite its small engine and public underestimation, represents the most well known example of an American manufacturer's success at making the transition from war propaganda to mainstream popular advertising. Organized by product, Hadacek's work gathers together a superb collection of illustrations and material, retracing an entire period focused on a vehicle that initially went unnoticed but quickly became a major symbol of postwar ingenuity. Jérome Hadacek is modeler specializing in 1/48 and 1/10 scale recreations. He is particularly fond of working on tanks and the jeep. He has published numerous articles in Steel Masters, Tank Zone and 4x4 Story, on various themes regarding military vehicles based off of reports from military museums throughout the world, technical documentation, and various related events.